Beautiful and spacious apartment including: a room with bed / 2personnes, a room with two beds / 1 person, a living room with sofa bed for 2 persons, dining area with open kitchen, bathroom with large shower, separate toilet, pantry , terrace and private parking. Fully equipped to accommodate 6 people, the furniture and equipment are in very good condition, the equipment is complete: flat screen TV, DVD player, dishwasher, hob, multifunction oven, fridge freezer, washing machine. Spacious (70 m2) and well exposed, it is very clear, it has an independent entrance. The views are clear on the surrounding mountain, not overlooked. 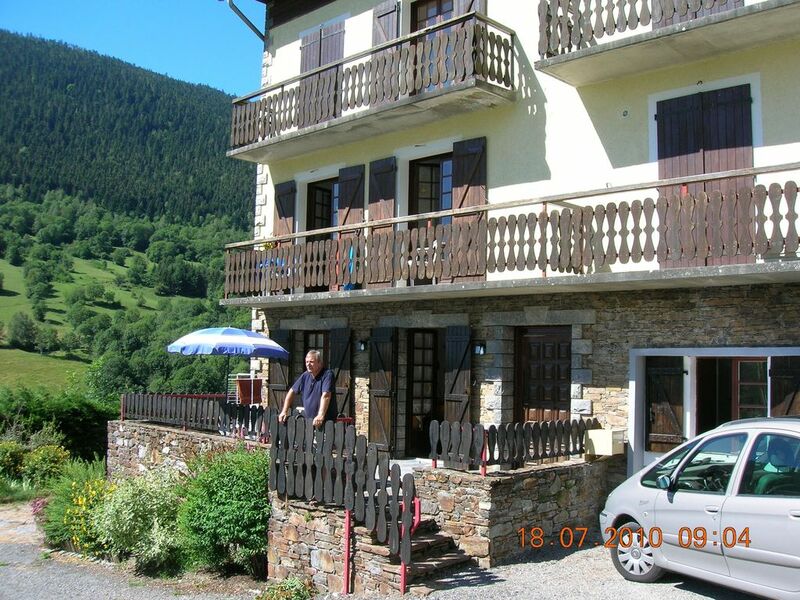 It is located on the ground floor of a small residence, on the road to the resort of Peyragudes at the exit of the village of SAINT-AVENTIN. Well located for hiking and skiing. Luchon is 5 kms and gives access to the station of Superbagnères by the eggs. You will find everything you need: thermal baths, mini golf, tennis courts, municipal swimming pool, cinema, shops, restaurants, the tourist office. You can practice all water sports in the area. Toulouse is about 150 kms. It is recommended to arrange a vehicle for your trips. Ideal for children who can play outside without danger ..
Beaux paysages et super accueil ! Appartement lumineux, fonctionnel et bien placé. La vue est très jolie et l’accès aux pistes rapide. A distance idéale des thermes, 10mn en voiture, si l'on souhaite résider à la montagne pendant sa cure; l'appartement est très fonctionnel, parfaitement meublé et équipé. Sûrement très bien isolé car n'avons pas entendu nos voisins ! Castillon est idéal également pour partir ou revenir à pied ou en VTT. Et toujours l'accueil chaleureux des Luchonnais !!! Merci à vous pour cette sympatique appréciation. Cela nous aide dans la commercialisation de notre location. Bien cordialement et à un prochain séjour pour une remise en forme.